Netanyahu, Iran deal: Terror machine will be fueled by agreement, Israeli PM says. Israeli Prime Minister Benjamin Netanyahu at the Knesset, Israel’s parliament, on June 24. “It goes without saying that an agreement prevents Israel from thinking about a military option, unlike the options that might have existed five or ten ago,” said Uzi Rabi, director of the Moshe Dayan Center for Middle Eastern and African History at Tel Aviv University … “The only thing Netanyahu has left is to continue talking,” said Yoel Guzansky, former head of the Iran desk at Israel’s National Security Council. In what the New York Times calls a “a rare display of Israeli consensus,” the country’s opposition leaders have denounced the deal just as strongly as Netanyahu. 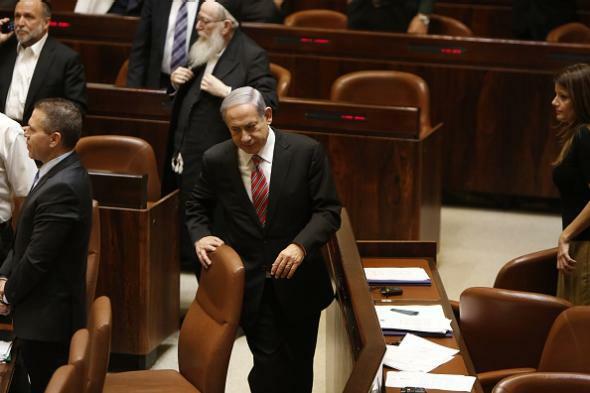 “The agreement is terrible,” said Tzipi Livni of the center-left Zionist Union. Labor leader Isaac Herzog (whose bid to become prime minister failed in March elections) said that he plans to fly to the U.S. to lobby against the deal (which, despite opponents’ rhetoric, is unlikely to be vulnerable to congressional action because the White House is defining it as an executive agreement rather than a treaty). “With regard to security, I am more extreme than Netanyahu,” Herzog said.